How do I know what "level" the pie chart is at? I'm struggling to find out which level the pie is at at a certain point. There are basically 2 levels. The first one is the initial level which you see when the chart is loaded. The second level is when you have "drilled down" and clicked on a slice of the chart to see its subvalues. I tried to use the event onChartUpdate and the parameters it returns but can't figure out which one to use. How do I know which level I am at a given point? The reason we are asking is that we want to change the color of the slices for the pie based on which level we are and also what type of data the pie is currently showing. 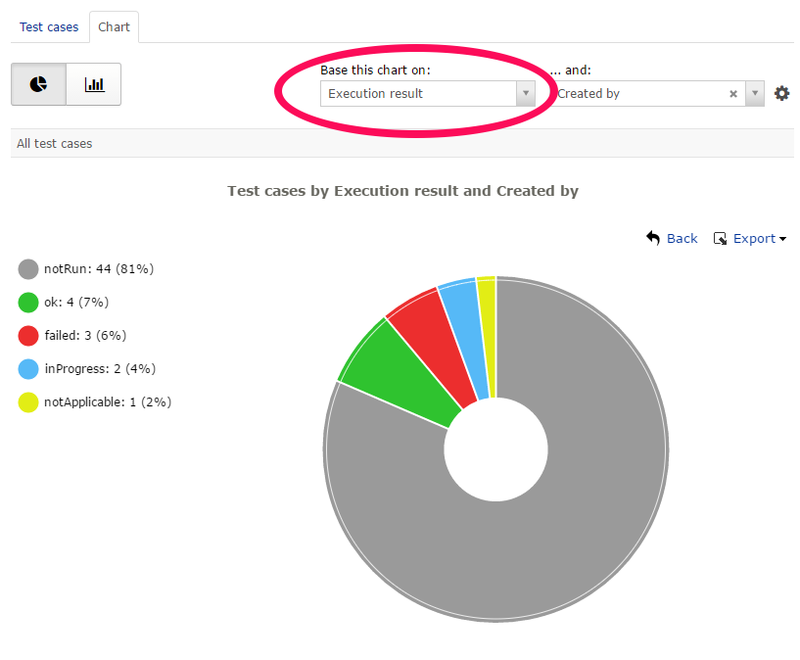 If either of the 2 fields to base the chart is "Execution result" we want to change the colors for those slices. The solution now uses the event 'onChartUpdate' to set what color to draw in the styleFunction for the slices. There are however some timing issues as well as wrong coloring being shown in certain situations. The event 'onChartUpdate' seems to happen after the styling function for the new slices is called. What approach would you guys recommend to this? If you need to provide the color dynamically in the styleFunction, you would have to add some data for each slice that you then test for. The only way to detect the level from a Slice object that I can quickly find, is to check slice.pie.parentSlice property.